Shipping date is March 5, but you can pre-order already now. Have a happy weekend! 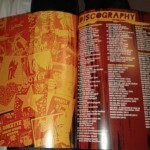 The initial cost is EUR 13.60 plus shipment cost. 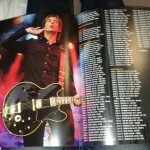 You can order this tourbook here. Thanks to Daniel Kühn for letting us know. 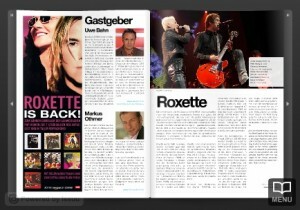 Per Gessle has revealed to The Daily Roxette the titles of 5 of the tracks which will be included in Roxette’s new album Travelling, due to be released end of March. 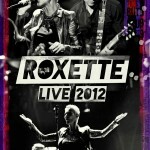 In addition, he mentioned that the tourbooks will be available to purchase via the Roxette online store, and also that there will be an updated version after the Australian and Asian leg of the tour. Pictures taken by Daniel Rezmann. 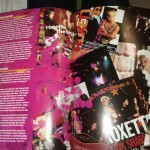 Here’s the weekend treat from Per Gessle – the very first official Roxette tourbook’s cover was revealed just a moment ago. 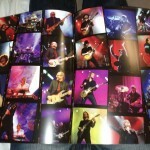 You would be able to purchase this tourbook during the forthcoming World Tour 2012. The price is yet unknown. 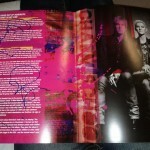 NOTP tour: Follow the crew behind the scenes, tourbook! Some members of the German proms staff have started to report from the tour regularly. A nice addition to Per’s videos! Menwhile, many reports from visitors have already appeared at the official NOTP forums. 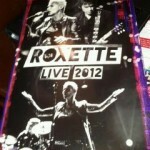 The huge majority is very positive about Roxette’s performance. 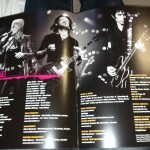 The official site now also features an online version of the German tourbook. Klick here! 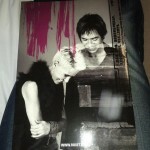 NOTP tour: Programme book for Antwerp, TV broadcast? 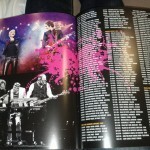 At the official Proms page it’s now possible to go through a virtual programm book for Antwerp. 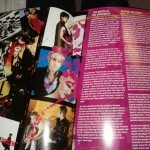 Roxette on page five! Update: There’s an ad for NOTP on Belgian TV channel EEN on December 27.